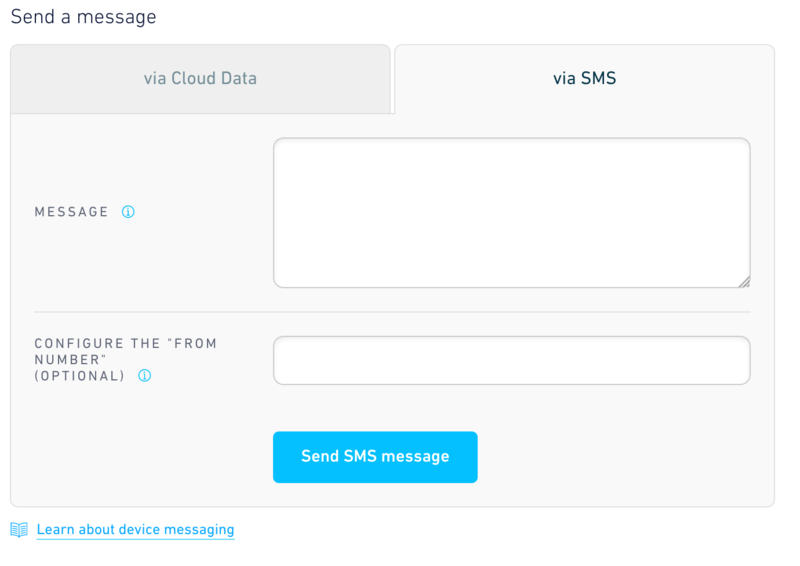 Our Cloud Data feature allows you to send a TCP or UDP message to a specified port on your device. This is helpful when you want to send messages to your device using only data. This process, while efficient and cost effective requires set up via our Embedded API. SMS, on the other hand, is commonly used by IoT devices to send command, configure, control messages such as setting an APN as it does not require setup. 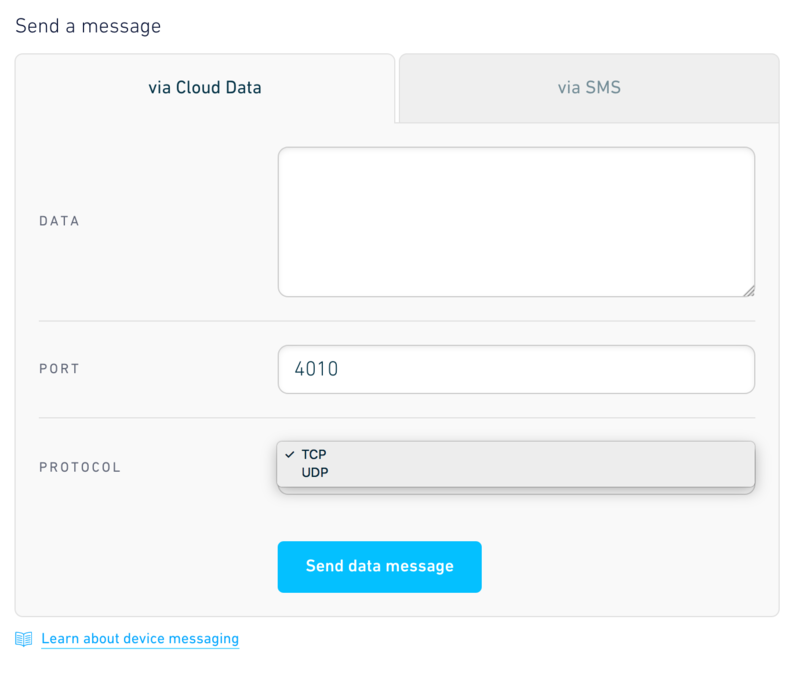 To send TCP/UDP and SMS messages to your device through the dashboard, simply go to the device's page via the general Devices page and select Messaging.